Well, they are not, with respect to being a threat to your beautiful orchids or clematis. But if you know that these blood-sucking pests can attack you while doing a bit of weeding or planting, then, the problem suddenly becomes relevant to every keen green-fingered enthusiast out there. Not to mention the youngins with sensitive skin - your kids with an avid interest in gardening or a habit of just playing outdoors at every opportunity. So, can bed bugs live outside the house? Yes, quite worryingly, they can. This post will answer the question and will explore how bed bugs survive outside and where. We’ll also explain why you should stay vigilant, even if your home interior is presently free of these minute biting pests. Last but not least, you’ll learn how to prevent them from infesting both the outside and inside of your property. How do “indoor” bed bugs come to live out in your garden? Bed bugs won’t settle outdoors by choice. They are either unknowingly brought or driven outside. The insects are renowned for their hitchhiking skills, as they can easily attach themselves to bags, clothes and shoes and this way, travel any distance. On that note, you can bring bed bugs to your property by buying second-hand garden furniture, cushions, throw-overs for your outside sofa or fluffy toys. “A pest control treatment indoors can drive away a few survivors that run for dear life but “decide” to stay close to the inhabited building - their valuable former abode.” commented Alexander Crawley, an entomology consultant at Fantastic Pest Control in Australia, “Those will sneak and hide in cracks of wooden furniture, outdoor structures, wood piles, upholstered outdoor furnishings, trampolines and more.” he adds. Well, bed bugs can travel on foot, be it on grass or hard surfaces, which are not too smooth. Considering their tiny size (about 4mm), they can cover a relatively big distance of up to 20 feet per day (or night). So can bed bugs travel through grass house to house? Yes, they can. The pests have the ability to sense the release of carbon dioxide from their potential hosts (when breathing), as well as their heat. This means that they may also drop by and visit you, after leaving a neighboring property for whatever reason, like running away from an insecticidal treatment, getting hungry in a recently abandoned house or looking for additional food sources, due to bed-bug overcrowding and competition or in other words - due to the expansion of their existing colony. Sometimes, even the use of regular gardening tools like a lawn mower, a leaf rake or even gardening boots could help them cut the distance and infest a new area. Why do bed bugs try everything to move inside your home? 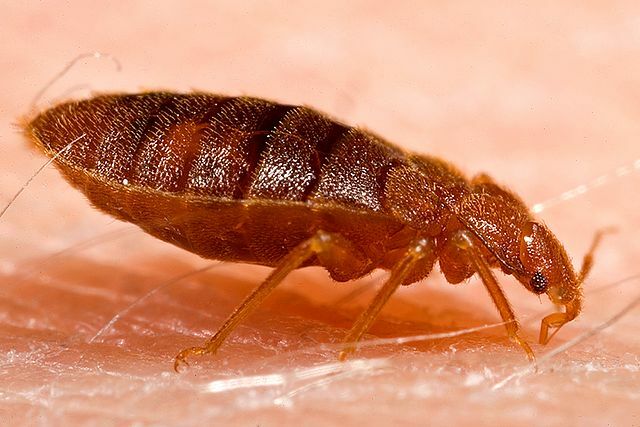 Despite that this article has a focus on bed bugs living outdoors, it’s important to know that sooner or later, they’ll attempt to relocate indoors, to live with you. Why? They need blood to survive. The insects don’t feed on anything else. Moreover, it’s human blood that they are genetically programmed to thrive on and reproduce, with some exceptions. Some types of bed bugs live by feeding on bats. Also, if starving and as a last resort, the human-insect pests may settle for an emergency feed, sourced from pets, chickens or other domesticated animals. So, the vermin will be always attracted to inhabited properties and live, breed and grow their colony near people. Hence, their name, as well. After all, what better opportunity to feed than when their host is resting nonchalantly in bed, sound asleep. Okay, but where do bed bugs hide outside? Okay, then. Bed bugs will not hide in a flower patch or directly in the grass of your lawn, but they can colonize temporarily the reclaimed or repurposed wooden beams of your raised vegetable bed, for instance. Also, it’s not unheard of to spot a family of bed bugs and their eggs in crevices of second-hand garden planters, made from wood, wicker, rattan or even plastic that imitates the structure of the last two. If you want to avoid uninvited guests, you may want to buy your gardening pieces, like planters, new. Outdoor buildings - This includes wooden exterior and interior structural fixtures, cracks, holes and crevices in those, as well as infested items in a said outdoor building, which are made or part-made of fabric. Patio furniture - Bed bugs will snuggle in wooden, wicker, rattan furniture, upholstered furniture, cushions, furnishing covers and blankets. Your car, camper van - The pests may try to escape the cold by moving into any type of vehicle, parked on your property (you may also bring bed bugs to your property via your travels by car). Garden structures and items - We could be talking, here, about pergolas, wooden trellises and frames, etc. Firewood pile - Or the insects could be in a temporary hideout in wooden building material, stacked near your house. General clutter - Again, be it inside an outdoor building or storage unit, or outside, somewhere you keep disused equipment under a cover, bed bugs will make use of any old electronic appliance (TVs, radios, etc.) 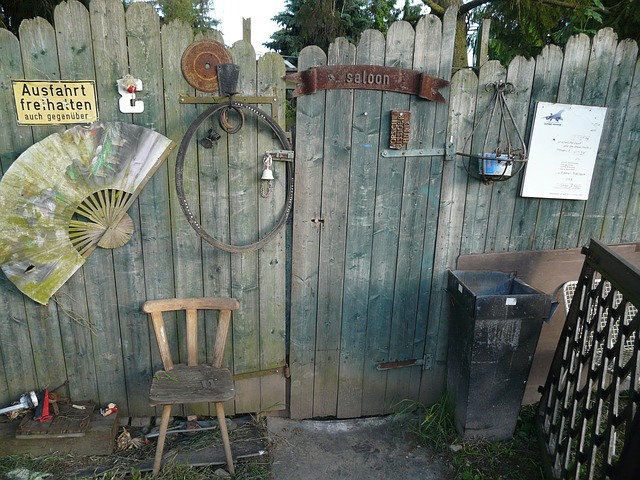 or even old gardening equipment, like a broken lawn mower. How long can bed bugs make it, if living outdoors? How long bed bugs can live outside your house will depend on several factors. Weather conditions, the presence/absence of the pests’ natural predators, as well as the duration of food deprivation will play a crucial role. On a more lighthearted note, their fate depends on how long bed bugs have remained undetected. If you spot them on your garden sofa, you’ll do something about it, right? But let’s see what exactly kills bed bugs, outside a timely insecticidal treatment, and how long it would take for them to die outdoors. Here is the right place to note that the vermin-insects possess superior survival skills. Bed bugs do have some natural predators, which will eat them without a blink. Masked hunters, Pharaoh ants, common cockroaches, some lizards and spiders will all gladly devour any bed bugs that cross their path. Still, this doesn’t mean that predators are a reliable bed bug control solution, because it’s unlikely that they can eliminate an entire outdoor colony of vampire-insects. The biting insects are able to reach adulthood only if they regularly eat blood. Also, female bed bugs won’t be able to lay eggs if blood is not available. However, bed bugs can go on without food for a very long time. We’re talking months, up to 5 months in warm weather conditions. If temperatures are low, though, an adult bed bug will self-regulate its own body temperature in sync with that outside. The result is that the insect goes into a state, where the lack of food stops being an issue, for a long while at least. In lab conditions, it’s been determined that some bed bugs can survive for over a year without a single blood meal. Nymphs however, will die out much sooner, of course. With respect to heat, bed bugs won’t survive a professional heat treatment. They will struggle with temperatures above 120° Fahrenheit (49°C). Naturally, such heat cannot happen outside, or at least in most places across the world. So, the scorching summer sun cannot drive bed bugs to extinction, with some exceptions, maybe - in the desert. If you’re curious as to what temperature can kill bed bugs, check out this video. Cold weather will also pose no huge risk to bed bug survival, unless the temperature plummets under 1° - 0°F (-18°C). As we’ve explained above, their body temperature also drops so that they can preserve their energy and survive for a significant length of time. You can take measures to prevent bed bugs from hanging in and around your property. Here’s how. It’s harder to treat contaminated outdoor surfaces against bed bugs with success unless you apply a professional pest control method in a repeated manner, at an interval of 2-4 weeks. For instance, a heat treatment will prove reliable, if applied in storage units, outdoor buildings and vehicles. Vacuuming garden furniture and applying an insecticidal product will also reduce the population of bed bugs. Additionally, you can seal wooden and rattan furnishings with a strong oil-based varnish after the treatment. Keep good relations with your neighbors - say, the house next door has bed bugs - your neighbor should ideally warn you if their property has been recently treated against the pests. Tip: Never throw out contaminated furniture without treating it, first. Otherwise, this could spread the problem elsewhere and drive the bed bugs to someone else’s garden.